For Utah System of Higher Education’s annual giving campaign last November, Ashlynn McCarter said the organization wanted to do something different. 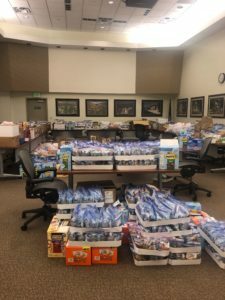 The chairman for USHE’s employee engagement committee said her colleagues wanted to not just give an annual pledge this year, but also give back to the Salt Lake community in a tangible way. 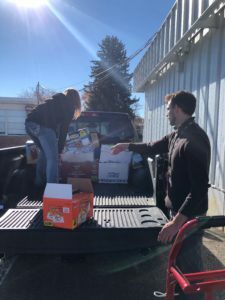 That’s when their corporate engagement advisor at United Way of Salt Lake suggested a snack kit packing drive — where employees could compete in teams to pack food that school food pantries could distribute to kids in need. USHE’s initial goal was to pack 1,000 kits as an organization by the end of its week-long campaign. By the end of their campaign, USHE employees had packed more than 13,000. Throughout the drive, employees kept an updated tally on how many kits they’d packed. Scores were displayed throughout the office on TVs and daily emails were sent out with standings at the end of each day. Employees made last minute Costco runs to get more supplies. Kits typically feature three to four nonperishable food items such as apple sauce, granola bars, goldfish, and fruit snacks, as well as a healthy drink all packed in a paper bag. The friendly interdepartmental competition fueled teams to surpass their initial goals, McCarter said. The support of upper management in making the drive a priority also helped incentives employees — in addition to a prize of a movie day on work hours for the team that packed the most kits. 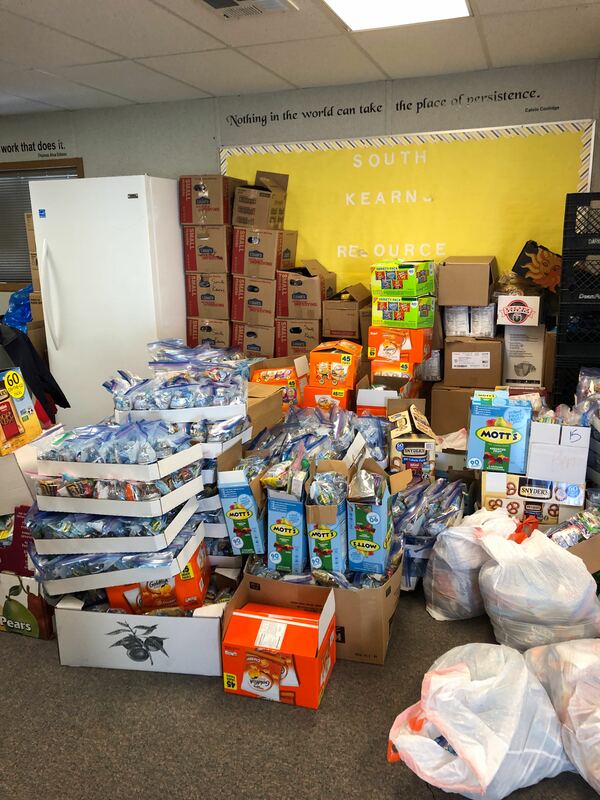 USHE had originally planned to donate all of its kits to South Kearns Elementary, but McCarter said once they’d greatly surpassed their goal, they decided to distribute them to other UWSL community schools that needed more supplies. USHE employees distributed kits themselves and McCarter said the experience was humbling. The drive helped bring a whole new level of engagement to USHE’s giving campaign. McCarter said it was one of the first times in years that every department got involved in the giving campaign. For future campaigns, McCarter expects there to be some kind of drive component based on the biggest need in UWSL community schools. She said its allowed for greater awareness of what United Way does and how both monetary and physical donations can make a difference in a student’s life. For more information on how to host your own snack kit drive or other kinds of donation drives, contact Zoe Meeken at zoe@uw.org or visit our donations page to learn more about immediate needs and projects.